Competitive multi page calendars printing, full colour calendars printers with very competitive rates, who deliver next day to Ireland. Competitive A4 14 page calendars printers of 28pp A4 booklet calendars printed at very competitive printing prices. Competitive UK multi page calendars printing. When ordering low-cost A4 multi page calendars for next day delivery within the United Kingdom. 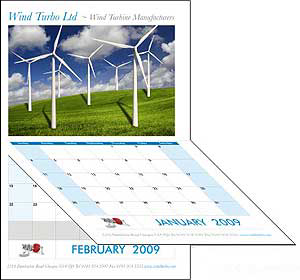 We can effectively design your multi page calendars printing prices include delivery. We will use a next day courier to dispatch your printed calendars. Competitive printers of A4 14 page calendars to Ireland. 14 page A4 calendars. 12 pages of dates and photographs printed onto 150 gsm gloss with a 300gsm gloss art cover. Full colour 14 page A4 booklets style calendars with a heavier 300 gsm cover. Will fit into an A5 envelope when folded. Our short run A3 spiral bound calendars start £289 for 25 off. Small run A4 pricesSee our small run prices for portait A4 spiral bound calendars. Click on the links at on the left to see our low prices for seasonal printing or view the PDF file below. 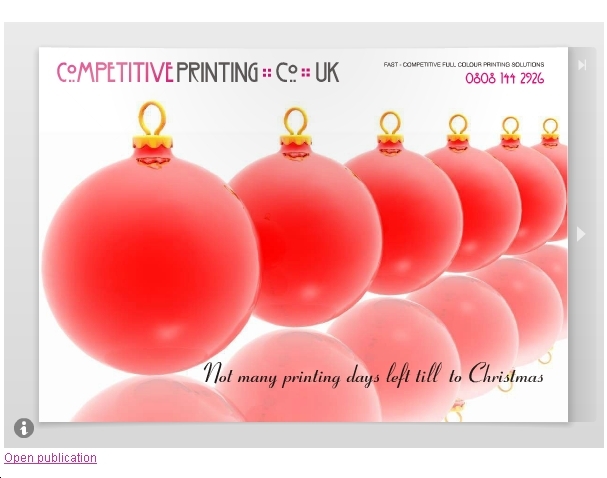 Alternatively visit our sister sister site for one to two colour prices for printing 2012 single sheet and multi page calendars and Christmas cards. How to upload PDF artwork for your 14 page A4 calendars or commission our designers. Design and artwork. Let our creative design team design you effective professional looking artwork for your A4 booklet calendars. Free multi page A4 calendars artwork proofing and client area. We offer a competitive nationwide booklet style A4 calendars printing service to and the rest of the United Kingdom.